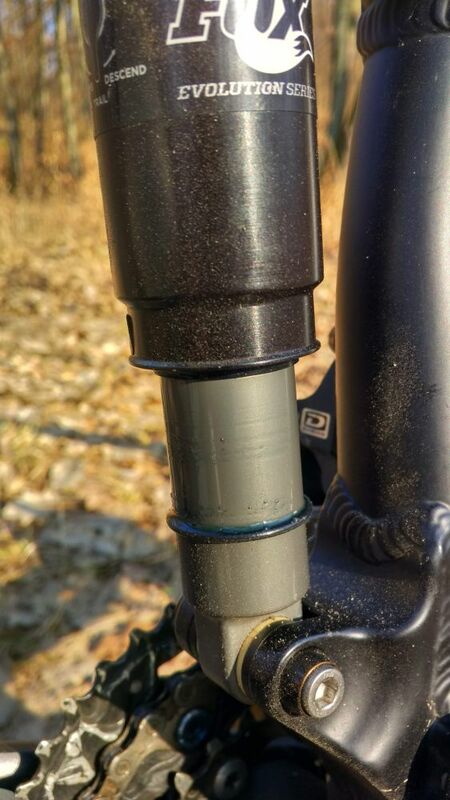 I have a FOX FLOAT CTD Evolution LV 184x44mm, which worked fine in the summer, afther the cold weather arrived, and I started to ride under 15C, it started to leak some oil. It was pretty nasty, but I wasn't able to do anything, my bike is stored in non heated garrage, so it can get pretty chilly out there, -5C. But even after this, the oil leaks like there is something broken. The shock still works fine, it has 3 modes, and the lock still converts it to a hardtail, and the folly open, gives a nice bouncy feel to the ride. Is the shock holding pressure? If so, its the wiper seals leaking not the aircan seal - check the damper body for scratches/damage. If not external damage I would re-service the shock pay special attention to the damper body condition and that the damper seals were correctly reassembled. If the shock is loosing pressure, it will be the aircan seals. Check the internal surface of the aircan for scratches. Not the answer you're looking for? Browse other questions tagged mountain-bike maintenance full-suspension shocks sealant or ask your own question. 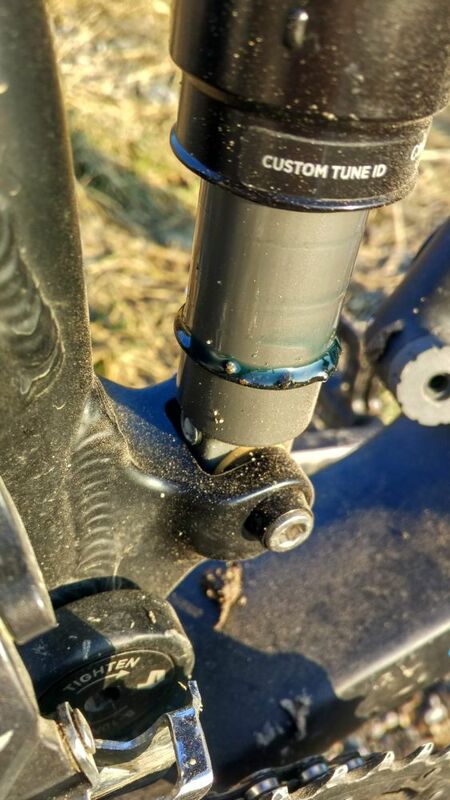 Does ProPedal on FOX RP2 rear shock wear out when on during downhill? why has my fox rear shocks adjusting lever popped out? Should a new rear shock be building oil in the shaft?